If well implemented, Gender and Social Inclusion (GESI) Policy will present Kaduna State as a pacesetter to other states in the country, Commissioner for Women Affairs and Social Development, (MWASD) in the state, Hajiya Hafsat Baba Mohammed, has said. The commissioner who is an expert in gender related issues stated this on Monday at the opening of a 2-day GESI Policy Framework Validation Forum currently ongoing in Zaria City, Kaduna. Mobilising for Development (M4D) is a non-governmental organization that has supported the state in developing a Gender, Equity & Social Inclusion policy and now organised a 2-day workshop on validation of the implementation framework of the GESI policy at FABS Hotel Zaria. 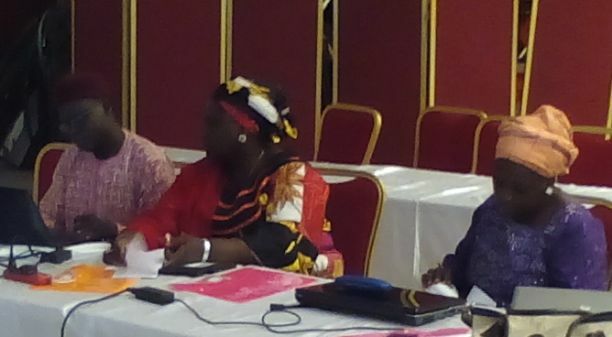 Hajia Hafsat Baba, who spoke through the Acting Director, Monitoring and Evaluation in her ministry, Mrs. Paulina Nok; said the GESI Policy is an area her Ministry has been working on, and it is hoped that the outcome of the Validation exercise will greatly contribute to the work the Ministry is currently executing in that area. She then sought indulgence of the participants at the Forum to contribute meaningfully as it will enhance GESI policy in the State, thereby making it a role model. Fielding questions from newsmen, Member representing Sanga at the Kaduna State House of Assembly (KDSHA) and also Chairman, Women Affairs and Social Development, Haliru Dangana, described women as bedrock of development in any given society saying, the GESI policy needed support from everyone concern in the State. He vowed to keep track of the Policy at every Parastatals or Agencies where it will be applicable without being directed to ensure it is implemented to the latter. “I will keep track of this Policy at every step at the Parastatals or Agencies where applicable with my legs not given direction to ensure this Policy is implemented to the latter,” he said. In her own remarks, the State Programme Manager, Mobilising for Development (M4D), Mrs. Hanatu Aruwan, said that the GESI policy is a document that will ensure administrations beyond the present one to continue to run with it. According to her, “if there’s no policy document, tomorrow some persons either within the ministry or wherever can come up and say it is so and so person that brought this idea, therefore will not be interested in it. But when there’s a policy document on ground, this will ensure continuity in interventions targeted. “So having this policy document in place will help Kaduna State, so that all stakeholders have a responsibility to ensuring that they Plan and implement the interventions that are beneficial to all within the State. “It will help the stakeholders to consciously be aware of what they need to plan for and how it should be implemented as well as guide them to cost the interventions they plan for and at the long run help in ensuring that those plans are implemented. This is why Kaduna State need to have a GESI policy in place”, she said.